Soul Care : Terry L. Mitchell, Ph.D.
Terry L. Mitchell, Ph.D., is an experienced pastoral counselor, spiritual director, life coach, and educator. While a devout Christian for over 40 years, Terry's 'mid-life crisis' in his early 40's began a new chapter of greater freedom and wholeness found in deeper and more personal transformational relationship in Christ. As an ordained pastor for over 30 years, Terry has worked with couples as well as men who have struggled in mid-life crisis, hurting their marriages, families and careers through the individual confusion, disorder, blind spots, and relational pain resulting from discovering that the first half of life is no longer working. He has helped men and families become aware of, articulate, and move out of the despair of these crises into a new hope for themselves and their marriages, with their children, and through their work in the second half of life. For the last nine years, Terry has facilitated and taught in over 60 Battle for Your Heart and Engaging the Heart retreats with Wellspring Group, a ministry committed to life transformation whose mission is "to inspire and equip leaders to live deepfrom a while heartin Biblical community." Terry has frequently counseled and trained pastors, church staff, and lay leaders, led emotional engagement and process groups, and taught workshops on cultivating the heart and skills needed for life transformation. We have offices in Roswell, Dunwoody, and Norcross. To make an appointment call 678.999.3951 or Email us. 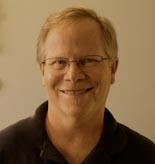 Terry brings a unique blend of understanding and pastoral capacities to the counseling relationship. Not only does he bring strong academic training (PhD, Auburn University; MS, Troy State University) and a pastoral counseling background. Terry's presence in the counseling process flows from a 15-year transformational journey of gaining a healthy and integrated perspective and inner freedom from his own pain, personal loss and brokenness. From his 'dark night of the soul' experience Terry compassionately understands how a person's life story, pain, sin, joy and blessing shape their soul. One couple articulated their experience of this with Terry: "He understands the soulthe deepest and truest part of a personthe way a medical doctor understands the body." From personal freedom, strength, and compassion, the active engagement Terry brings to the counseling session has been described as providing a place for "frank discussion of what is going on including the feelings, events, and issues that are stirring in the moment." for clarity to one's deepest desires and motivations"
ear attuned to the Holy Spirit and one ear attuned to us"
Adding to his already extensive education and experience, Terry is currently earning a 2 year Certificate in Spiritual Transformation through Northern Seminary in partnership with Ruth Haley Barton's Transforming Community. Terry and his wife, Dot, have been married for nearly 37 years and are continuing to grow in their love and friendship with each other. In particular the last five years has produced a wonderful growth spurt in their relationship as they have learned to listen more to each other's hearts and less like relating to them as a problem to be solved. Terry and Dot have two adult children, Ryan and Katie, a wonderful daughter-in-law, Hannah, and two of the most beautiful and amazing grandchildren in the world, McKenzie and Bennett. To make an appointment call 678.999.3951 or Email us. For if we be harassed by poverty, or saddened by bereavement...or vexed by any kind of calamity, let good men visit us, men who can not only rejoice with them that rejoice, but also weep with them that weep...the effect is that rough things become smooth, heavy burdens are lightened, and difficulties vanquished most wonderfully.